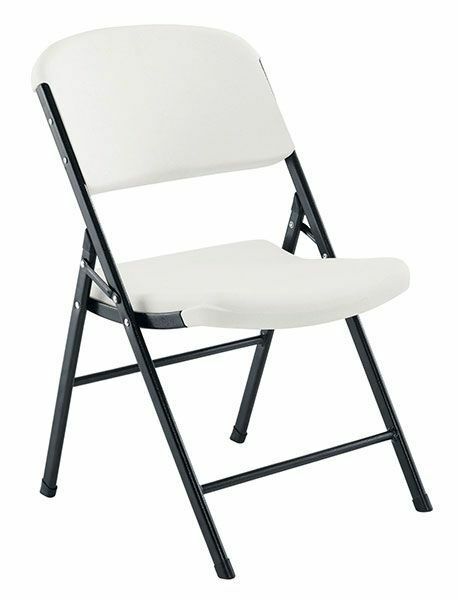 General use folding chair with a White polypropylene seat and back and durable powder coated Black frame. Available from stock for a free next day delivery. Eye catching, folding, durable chair with a contrasting thick white poly seat and back. With a black powder coated finished frame, this range of chairs is delivered from stock on a next day delivery.